Lucknow: Metro fares as decided by the Board of Directors of Lucknow Metro Rail Corporation (LMRC) will vary from ₹ 10 to ₹ 60 depending upon the number of stations travelled inside the Metro system. Fares have been decided for the entire 23 km North –South (Phase 1A) Metro Corridor from Chaudhary Charan Singh Airport to Munshipulia. The fares have been decided with the prime objective of maintaining price affordability of transport to the general public. 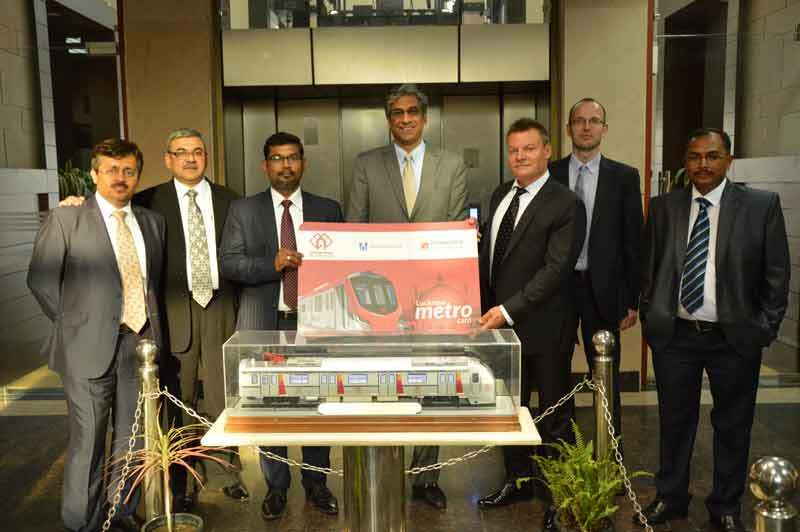 Unlike other Metro systems, the Lucknow Metro fares have been decided based on the number of Metro stations travelled as against the distance travelled in the Metro system. This is the most optimal initial fare structure of the entire North-South Metro Corridor (Phase 1A) between Chaudhary Charan Singh Airport and Munshipulia. It has been arrived after an all-round analysis of the fare pattern of the other Metros in India and abroad as well as other modes of transport in Lucknow with various pricing models. To promote regular commuters and usage of Smart Card (”GoSmart’‘) travel, a discount of 10% of the ticket value will be provided on travel by Smart Card. ₹ 100 will be in the form of security deposit, to be refunded on return of the Smart Card. In addition to this, LMRC will also issue full day Tourist Card for ₹ 200 for one day travel and ₹ 350 for 3 days travel to the commuters of Metro Rail. ₹ 100 will be in the form of security deposit, to be refunded on return of the tourist Smart Card. With the above fare structure, LMRC will be able to cover its operating and maintaining expenses from the beginning of the Metro services and also take care of its debt.